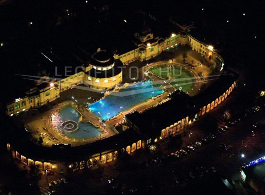 Szechenyi Bath Birthday Celebrations: enjoy 3 days of fun in the 100 year old Szechenyi Spa Baths in mid June, 2013. Please expect more guests during the 3 day event (don’t forget, you can book your fast track Szechenyi bath ticket online if you want to skip the queues). 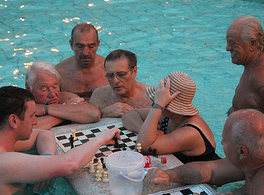 In mid June 2013, from June 13 to 15, you can expect some surprising events in Szechenyi Thermal Baths. June 15, 2013: fun games, challenge trail, flashmob, Night Party! 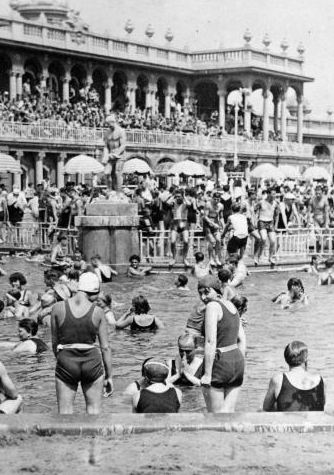 To celebrate the 100th birthday the baths is throwing a 3 day program series for bath guests with many interesting things to do. There will be a fun challenge trail set up in the baths with 10 challenges (puzzles, Charlston Dance Steps, singing, quiz, fitness, waterpolo shots, flashmob etc.). If you want to get away from the fun in the bath palace, you can rest in the Palm House Oasis on the rooftop of Szechenyi Baths to get some relaxation in a spa environment. 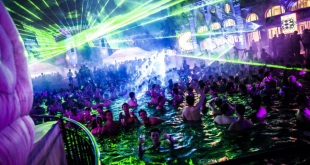 In the Marble Ball room in Szechenyi Baths, the mayor of Budapest, Mr Istvan Tarlos will welcome the special guests in a special event (invitation only), followed by a Swimwear Show and a Birthday cake of 100 cakes. Szechenyi Bath is 100 year old in 2013: built from 1909 to 1913 based on the designs of Gyozo Czigler (using the hot spring wells found by Vilmos Zsigmond). 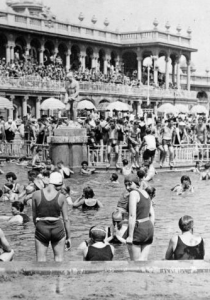 The outdoor pools were built later in 1927 seeing the huge success of the baths accepting approx. 900,000 people per year at that time. 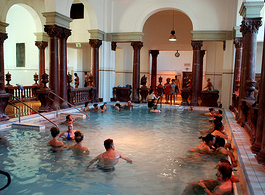 The bath ticket entitles all guests to use 18 of its pools, and about 10 saunas, steam rooms, gym, etc. 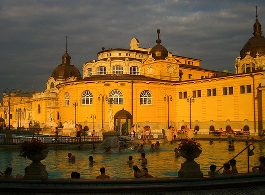 In 2012 Szechenyi Bath was awarded with the most prestigious Hungarian prize: the Grand Award of Hungarian Products. 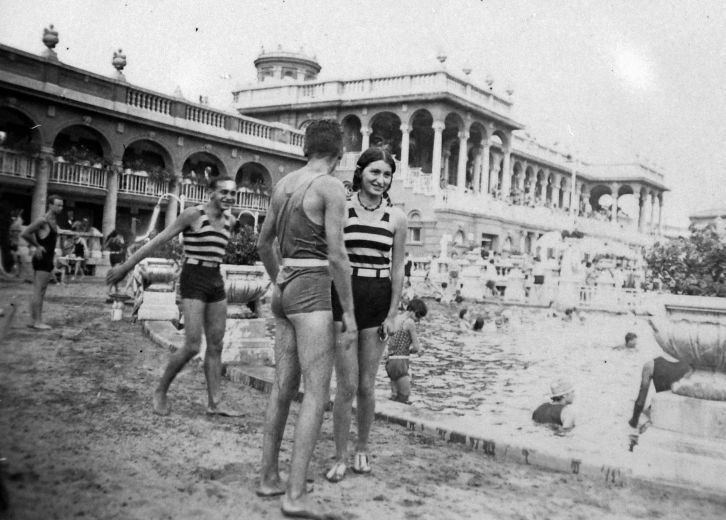 The miniature model of Szechenyi Baths represents Hungary in the min Europe exhibition in Brussels. 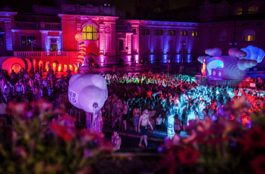 Szechenyi Bath sparties – Szecska parties & the Water Circus – rock the Saturday nights of Budapest summer nightlife. 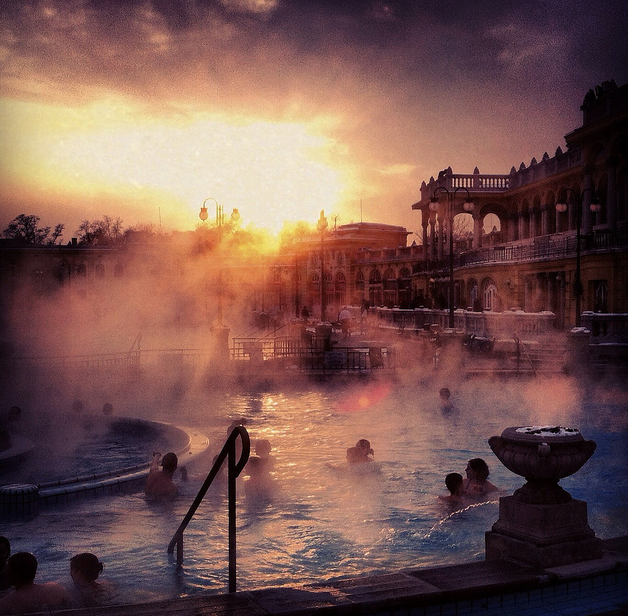 The hidden spa atop Szechenyi Baths is a secret haven in the bath palace: see the Palm House Oasis. 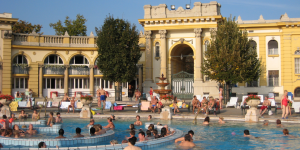 Szechenyi Bath massages are great value. Aroma massages are a good deal for a 30 min therapy. 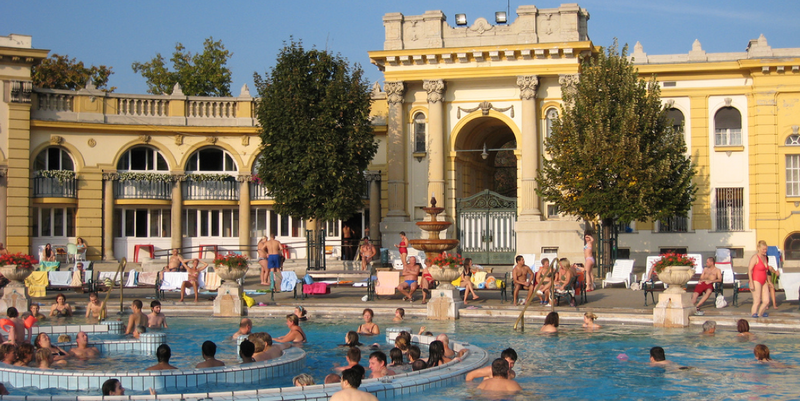 Szechenyi Bath is like a palace of baths and pools with little known places like the sunbathing terrace, the Palm House Spa, the marble ball room, the gym. Explore the palace with our map to spend a whole day in the baths.